According to PETA and the Virginia Department of Agriculture, in 2014, PETA took in 1,605 cats and killed 1,536 (a kill rate of 96%). They transferred another 43 to kill shelters where they were either killed or displaced others who were killed. That would put the cat kill rate as high as 98%. They found homes for only 16, an adoption rate of 1%. 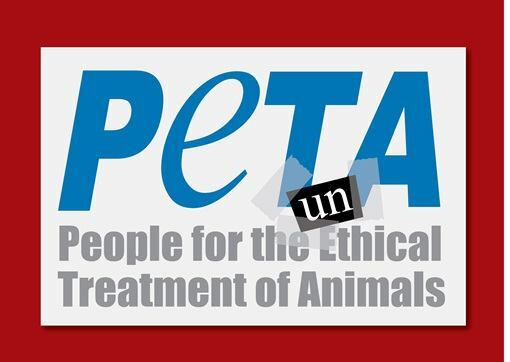 PETA also took in 1,021 dogs of which they killed 788 (a kill rate of 77%). Another 210 were transferred to kill shelters. Like the cats, if they were killed or displaced others who were killed, the dog death rate would also be as high as 98%. Only 23 were adopted. Here is the data, self-reported by PETA to the Virginia Department of Agriculture & Consumer Services, showing roughly 9 out of 10 animals they seek out they subsequently kill. Here is a newspaper article about the trial of PETA employees after they were found to be rounding up and killing animals in the back of a van after promising to find them homes. Here is an article by a former PETA employee who was told to kill highly adoptable animals and to lie in order to get them. Here is the news station report of PETA taking Maya, a “happy and healthy” dog and killing her. Here is the surveillance video. Here is an inspection report by the Virginia State Veterinarian showing PETA kills 90% of animals within 24 hours without even trying to find them homes. Here is a judge’s ruling calling out PETA’s attorney for “unprofessional” and “contemptuous” conduct in the case of the killing of Maya; a case they settled for $49,000 after losing a motion where they called the dog worthless. Here is an OpEd piece written by PETA founder Ingrid Newkirk which appeared in newspapers across the country where PETA says it supports a policy that all pit bulls should be killed in all shelters in America. Here is an article about PETA joining a group whose mission is to kill all pit bulls. Here is a letter written by PETA to a Mayor telling him to kill all pit bulls, not to foster animals, and not to work with rescue groups. Here is an article where PETA says community cats are better dead than sterilized and fed. Here are the intake and disposition records of kittens PETA had killed. Here are more records showing PETA rounds up to kill cats and kittens. Here are even more records showing PETA rounds up to kill cats and kittens. Here is a video made by Shelby County KY shelter volunteers after PETA celebrated when that shelter announced it was going to resume killing after four years as a No Kill shelter. Here is a letter by the Virginia Federation of Humane Societies asking the State Vet to revoke PETA’s ability to take in and kill animals. Here is a petition to the State Vet that the No Kill Advocacy Center wrote asking the same. Here is a video where Ingrid Newkirk admits they kill healthy, adoptable animals. And most frightening of all, here are photographs of animals PETA has killed. Rainbow Rescue on giving animals to PETA: “I thought it was the answer from heaven. We just thought ‘PETA is the godfather for animals.’” They were told that the animals they transferred to PETA “would be prepared for potential adoption.” They were lied to and the animals were killed. Click here for the story. If that is not enough: a dog died after three days of suffering in his kennel,with no medical or supportive care at Sumter County Animal Services (SCAS) in Florida. In response to criticism, county officials maintain that their job is not to save lives, but to provide “euthanasia services” and “culling” of animals. Despite this neglect, PETA accepted the county’s “assurance that animals in the county’s care and custody are provided timely medical care when needed” and went on to thank pound staff even though they do no adoptions, have no veterinarian on site, do not allow volunteers, and do not allow the public to photograph or videotape in the facility (in violation of the First Amendment and Federal law). PETA — telling county officials that No Kill is impossible — also thanked pound staff for “standing firmly” against citizens who are working to ensure that neglect is eliminated, lives are saved, adoptions occur, volunteers are allowed, and constitutional rights are protected. If that is still not enough, not only does PETA kill cats themselves, they demonize community cats in order to get counties to round up and kill, rather than sterilize, them, too. Per PETA, ‘cats smell, they are a nuisance, make too much noise, are a public health and rabies threat, transmit disease and parasites, including “roundworms, hookworms, and even plague,” and “terrorize and kill” 15 billion other animals a year.’ These are hardly the words of an animal-loving rights group. Seeing is believing. Click here for photos of PETA’s killing and embrace of killing.